Both books are in the Cambria Sinophone World Series headed by Victor Mair (University of Pennsylvania). Be sure to check these books out at the Cambria Press booth (132) in the book exhibit hall! Cambria Press is offering a 40% discount on all hardcover titles for the MLA. Please use coupon code MLA2014; the offer is valid until Feb 14, 2014. Librarians can use this code too, so please pass this on to them! Download the Cambria Press MLA catalog and booklist. Check out our e-book rentals too: Cambria monographs have excellent chapter readings for undergraduate and graduate classes–avoid the hassle of textbook orders and simply assign a book chapter (or more) to students for the week’s reading for only $8.99! MLA 2013: Cambria Press authors Nobel Prize Winner in Literature Gao Xingjian and Professor E. K. Tan with their newly published books! Cambria Press authors Nobel Laureate Gao Xingjian and Professor E.K. Tan with their new books at the Cambria Press booth at the 2013 MLA annual convention in Boston. Cambria Press authors Nobel Prize Winner in Literature Gao Xingjian and Professor E. K. Tan at the Cambria Press booth at the 2013 MLA annual convention in Boston. Both were very happy that their books (Gao Xingjian: Aesthetics and Creation and Rethinking Chineseness: Translational Sinophone Identities in the Nanyang Literary World respectively) were published just in time for the convention. Both books are in the Cambria Sinophone World Series, headed by general editor Professor Victor Mair (University of Pennsylvania). Gao Xingjian flew in from Paris to launch his new book, which was translated by Dr. Mabel Lee (University of Sydney) who came all the way from Australia for the MLA annual convention. 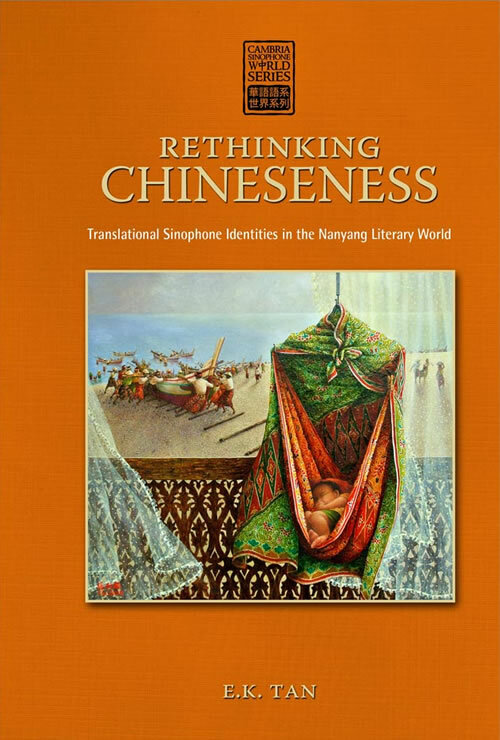 Launch of Nobel Laureate Gao Xingjian’s book, the Rise of Sinophone Studies, and Rethinking Chineseness! Cambria Press authors, Nobel Prize Winner in Literature Gao Xingjian and translator Dr. Mabel Lee, will be attending the 2013 MLA conference in Boston for the launch of the new book, Gao Xingjian: Aesthetics and Creation. The book has been published just in time for the MLA annaul convention. MLA convention attendees will be the first to see the book! The book is part of the Cambria Sinophone World Series, headed by world-renowned Sinologist Professor Victor H. Mair (University of Pennsylvania) who has discussed this extensively (see Professor Mair’s thought-provoking post on the Language Log and brilliant presentation on Sinology: Then and Now at Peking University). Sinophone studies is a fast-emerging field as evidenced by the recent Conference on Global Sinophonia hosted by the Institute of Chinese Literature and Philosophy at Academia Sinica and co-sponsored by the Association of Chinese and Comparative Literature (ACCL) on December 17–19, 2012. Professor Christopher Lupke, president of the Association of Chinese and Comparative Literature (ACCL), is to be lauded for his efforts for the push for Sinophone studies to be included in larger conferences such as the MLA annual convention. 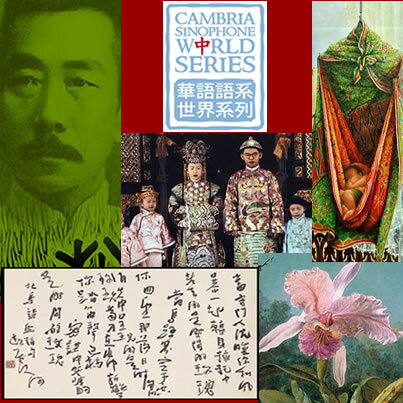 Both Professors David Wang and Shu-mei Shih are on the editorial board of the Cambria Sinophone World Series. 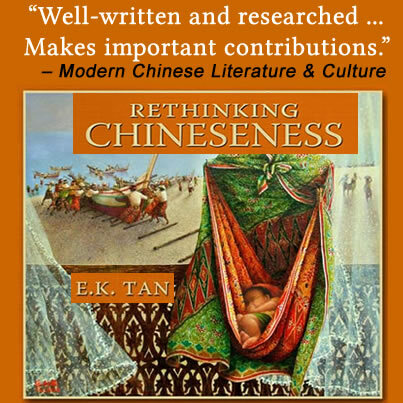 Read their comments on another new book in the series, Rethinking Chineseness: Translational Sinophone Identities in the Nanyang Literary World by Professor E. K. Tan, that has also been published just in time for the 2013 MLA annual convention. More exciting news will be posted soon as we count down to the 2013 MLA conference, so please check back in a couple of days! During this holiday season, remember that your kindness goes a long way. A simple helpful act, a friendly smile, and a nice remark each day make such a difference, both to the giver and the recipients. Just do it! Kindness is also shown by the restraint of unkindness—step away from hateful behavior or words. Just don’t! 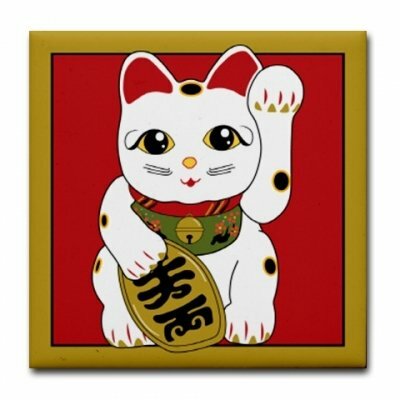 Having a better year begins with you. Let’s make 2013 the turnaround year! Happy holidays to everyone from Cambria Press!! !